The Bible is the Living Word, the Truth that makes us free! If your heart longs to live the abundant, alive, and free life that Jesus came to give you in the here and now, we encourage you to spend some time with the Word today. Opening the Bible for the first time, or even the hundredth time, can seem overwhelming or intimidating. We have tried to make it easier for you by providing one of many available Bible Reading Plans by simply clicking HERE. 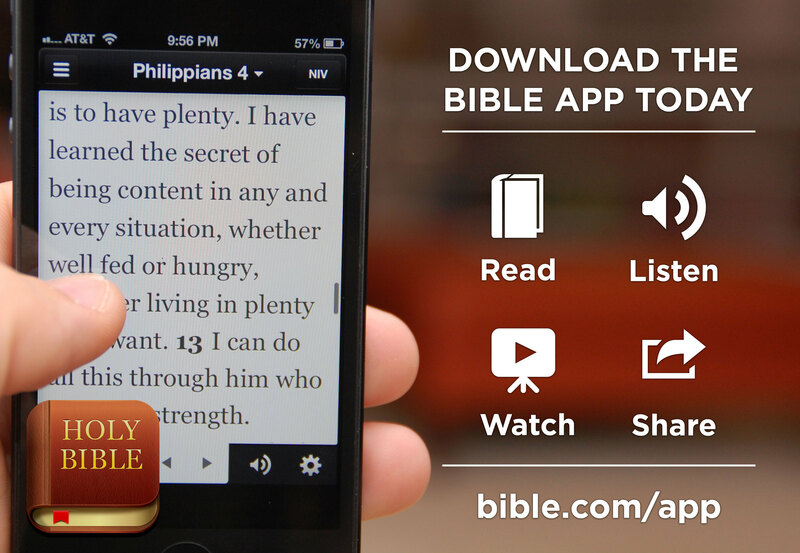 If you’re interested in reading the Bible in other versions, highlighting favorite passages, sharing verses on social networks, a wide variety of Bible Reading Plans and Devotionals, and much more, completely FREE of charge, check out the YOU VERSION BIBLE APP on your phone, tablet, and computer.